tannins and finely integrated oak characteristics. Final flavors of black spice and maple combine to create a long, velvety finish. Our only reservation is a hint of vegetation on the finish, which leaves the wine after about 1/2 hour of aeration., indication a bit of aging would be rewarding. 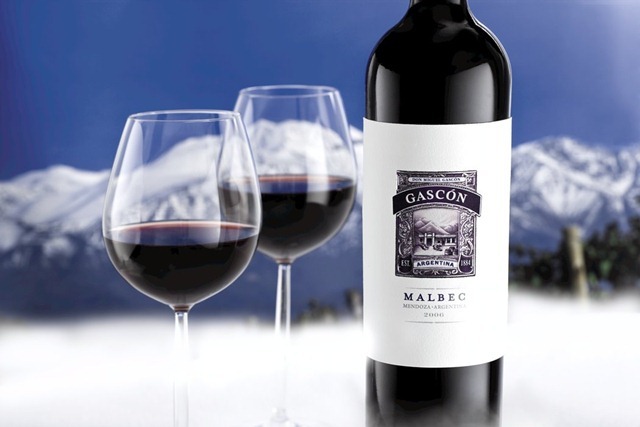 Gascón Malbec pairs well with grilled red meats, wild game, pasta dishes and chocolate molten dessert. 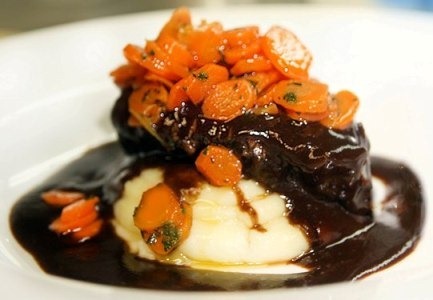 (Yes it is lovely with chocolate, which means chicken mole or chile in chocolate wine sauce). Mendoza is a mountainous province at the foot of the Andes Mountains in Cuyo, a region along the western edge of Argentina. and creates unique flavor and aromatic expressions in the finished wine. compared to the previous one. A late-season frost in 2009 prevented normal bud formation in the spring, resulting in lower yields. concentrated flavors. 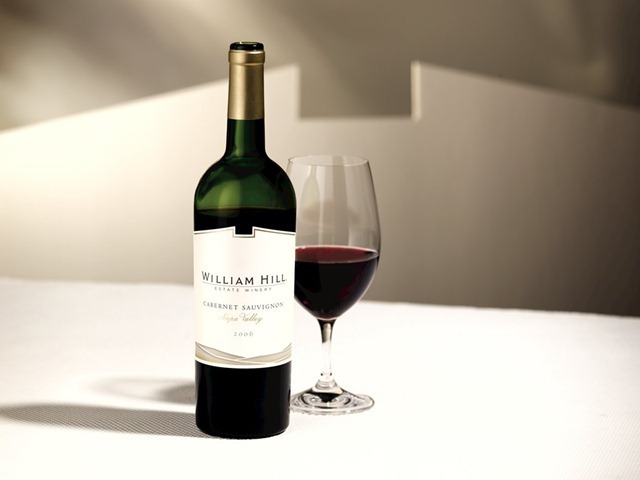 The fruit also maintained excellent levels of natural acidity, lending freshness and vibrancy to the grapes. fermentation occurred at around 29°C (85°F). 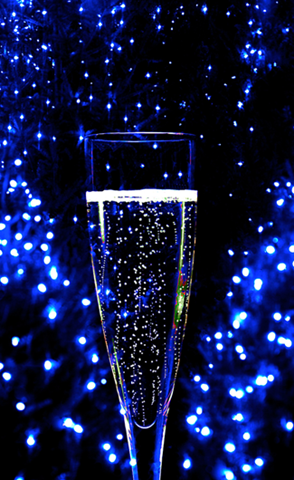 The signature brut is named after one of the Caravelle ships built by Columbus for his voyage to the New World. 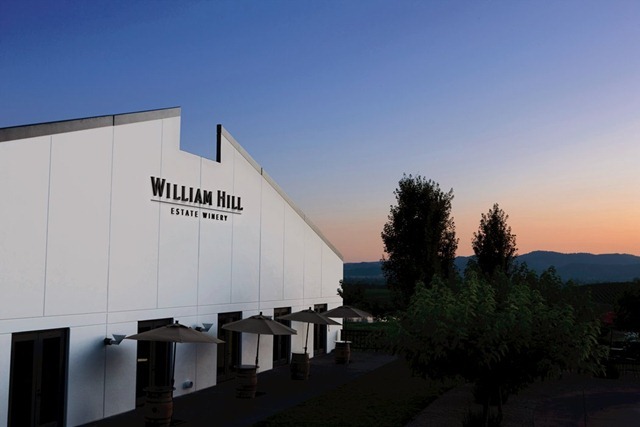 The multi-vintage cuvée features a blend of 40% chardonnay, 30% pinot noir and 30% pinot meunier, with an elegant floral nose and notes of yuzu, white peaches and gingerbread. We like to start with this one and enjoy it with hor d’oeuvres. Follow it with the elegant Blanc de Blancs and seafood or chicken and finish with the superb Rosé and game, cheese and dessert. If you choose but one, it’s a matter of taste and menu. They are all enchanting. 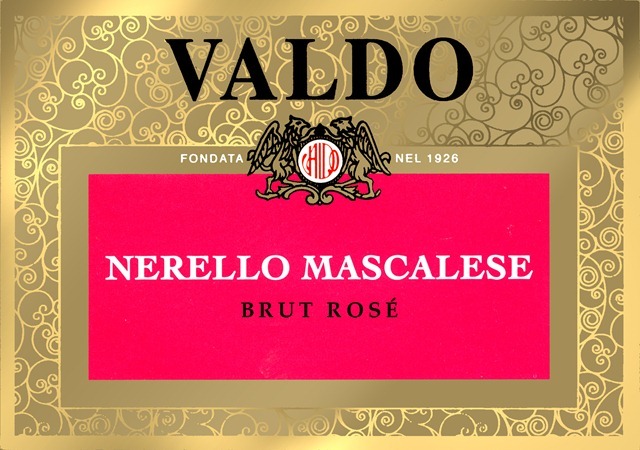 This beautiful salmon pink Champagne uses the same base blend as Niña with the addition of elegant red wines from well-known appellations such as Aÿ and Bouzy. With a floral and red berry bouquet, the rosé evokes hints of cherry almond, pomegranate and fennel. Made with an exclusive blend of the best chardonnay crus harvested primarily from the Côte des Blancs and aged for three years, this complex wine has an elegant bouquet perfumed with white flowers and a refreshing, lively flavor with notes of citrus and rhubarb. 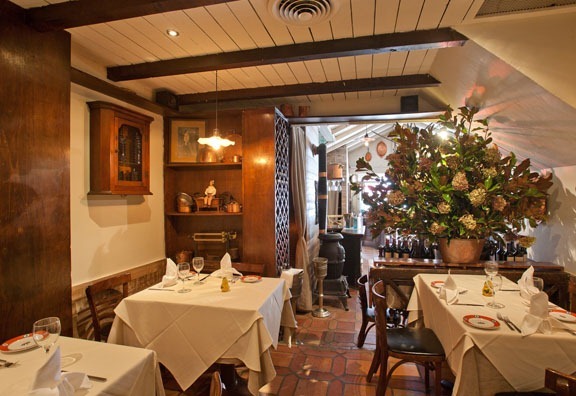 Celebrated NYC eatery La Mangeoire has a solid history of serving a classically Provençal menu but starting this month this 35 year old classic is getting a fresh breeze of country air in the form of new interiors and new French Country Menu developed and executed by Chef Christian Delouvrier. 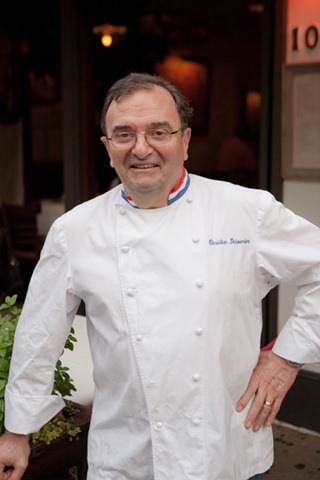 Owner Gerard Donato and Executive Chef Christian Delouvrier (Les Celebrites, Lespinasse and Alain Ducasse’s Essex House) are giving both the food and the décor a major overhaul to reflect a much more rustic “French Country” style that encompasses all regions of the expansive countryside. Chef Delouvrier, a four-star rated chef who has been collaborating with Donato for several months, decided to officially take on the Executive Chef role this fall and together transform this little jewel into a regional bistro serving French Country Cooking as is now scripted on the awning and the tempting new menu. The changes began with the reimagining of the interior and the hiring of interior designer Karen Gorman of Village and City Interiors who also designed the former Allegretti restaurant. Donato and Delouvrier had a clear vision of transforming the space to make it brighter and more cohesive, filling the restaurant with French country charm while holding onto some of the original rustic details that made the restaurant what it was, including the wonderful antique tile floors and the wood ceilings and beams. The bright yellows and blues that once covered the walls have been replaced with eggshell tones, opening the space up exponentially. 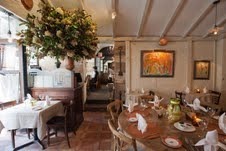 The collection of colorful paintings that made la Mangeoire famous have been framed with rustic antique wood giving them the ideal finishing touch and a collection of copper pots and pans, compliments of Donato’s personal collection of cookware, adorn the walls throughout the dining room. Gorman noted, “most importantly we added natural textures to the space such as linen drapes, cloth on the tables and a textured barn wood on many of the wall surfaces. The food and spirit of this restaurant can take center stage and relax in a setting that makes you feel that you are truly somewhere in the French countryside. 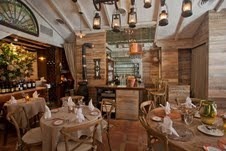 We have long admired this charming Manhattan institution, now the experience has evolved into the world class league. Not even in Paris or Lyons will you discover such authentic interpretations of the classics with just enough contemporary color to remove the guilt factor and let patrons devour such masterpieces a as Whole Roasted Chicken, stuffed with fresh herbs and resting on a bed of luscious pommes frites soaking up the natural jus. If you dine at La Mangeoire, the chicken is mandatory and I promise that you will thank me for the recommendation. It arrives with a gorgeously simple salad served in an oversized pristine glass bowel. This is preceded by marvelous hunks of warm country bread, served with a variety of condiments by one of the most benevolent service staffs in New York. Standout new appetizers include Escargots de Bourgogne, which are Burgundy snails with decadent shallot butter, salty Serrano ham, and almonds for texture and confit tomatoes.Or you might try Tarte Campagnarde, an earthy and delicious mushroom and cheese tart; and Salade d’Endive & de Betterave, which is an endive and beet salad with hazelnut oil and red wine vinegar. By all means sample the amazing onion soup, rillettes of pork or smoked salmon, salad frisse (above)f and course country pate that will make you want seconds..
Entrée dishes making their debut on La Mangeoire’s new tables include Duo de Plat de Côte Façon Bourguignonne et de Bavette de Boeuf, a duo of tender short ribs and skirt steak that also pays homage to the Burgundy region, served with glazed carrots and penne gratin; Cuisse de Canard Confite, which is an incredibly juicy and crispy duck leg confit served with a tomato and cranberry bean stew; Pavé de Foie de Veau Poêlé, classic sautéed calves liver steak shallots and Pinot Noir sauce with a side of potato purée; and Mouclade La Mangeoire, a clean preparation of mussels with white wine, crème fraîche, thyme and Sarawak black pepper. 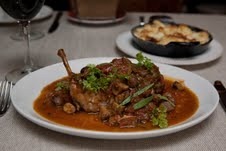 A prix fixe menu will be offered for both lunch and dinner at $21.00 and $32.50 respectively. There is also a 6 course tasting menu for $85 per person. Additionally the restaurant will offer “Les Classiques de Christian Delouvrier”, a grouping of three house specials served family style that Chef Delouvrier has had rotating on his menus for years. 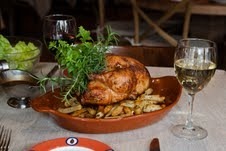 One particular standout is his Poulet Fermier Roti, or his Farm Roasted Chicken. This has become one of the chef’s staples over the years with some in the food industry calling it the best chicken in New York City. “It is definitely a signature dish of mine and I would encourage anyone that comes to La Mangeoire to try it,” Delouvrier said. 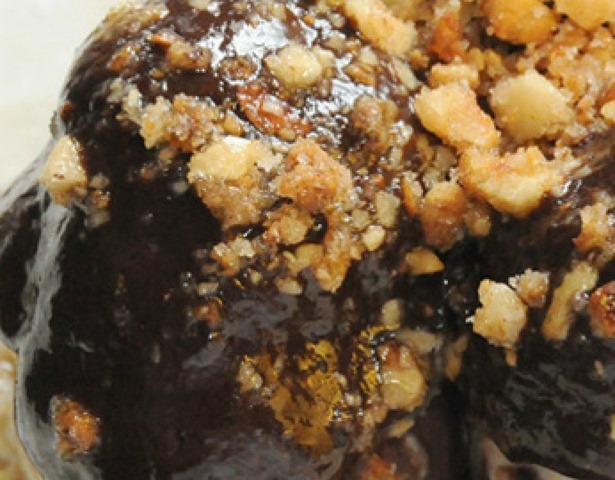 Desserts are classic French bistro style and are all homemade; rotating desserts include remarkable chocolate hazelnut profiteroles, apple tarts, and chocolate mousse and a duo of pot de crème. Chef Delouvrier has run the kitchens at some of the most well regarded restaurants across New York including Les Celebrites (Three-Star Review from The New York Times), Lespinasse (where he earned a coveted New York Time’s Four-Star review), and Alain Ducasse’s Essex House. Since 2006, Delouvrier has consulted with a number of restaurateurs to revitalize existing ventures or to launch new concepts. In late 2009 he began consulting at La Mangeoire. 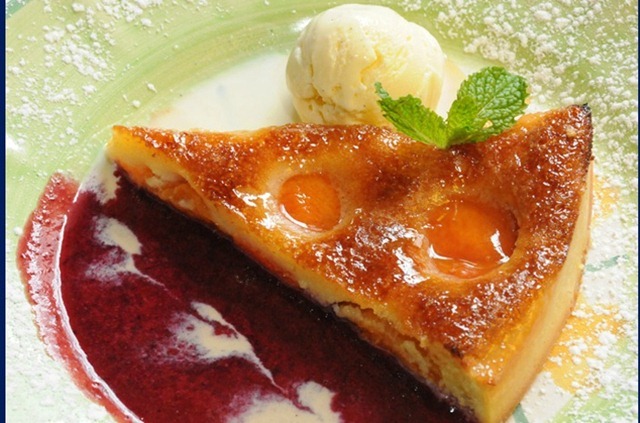 La Mangeoire has given him a place to show his love of food and focus on the techniques and ingredients that define French fare. La Mangeoire owner Gerard Donato has owned the restaurant for the past 30 years. Originally from France, Donato strives to create and atmosphere and menu that makes his French guests feel as if they are home while making Americans feel as if they’ve been transported to the French countryside. And he succeeds! M. Donato is a real charmer and a superb front of the house. La Mangeoire is open Monday – Friday for lunch and dinner, 12:00pm – 11:00pm, for dinner only on Saturday from 5:30pm – 11:00pm, and for brunch and dinner on Sunday from 11:00am – 10:00pm. It’s wine list is sensible, attractively priced with nice wines by the glass at under $10 and good bottles in the $40 and up range. Especially nice are some lovely 1/2 bottles. Our Gigondas Guigal 2007 was soft, refined and full of controlled fruit. La Mangeoire 1008 Second Avenue, New York, NY 10022 (212) 759-7086 www.lamangeoire.com is a breath of fresh air and what the Manhattan dining scene is really about: wonderful food, service and atmosphere at affordable prices, sans snob and mercifully untrendy. And three cheers to M. Delouvrier, everyone’s favorite chef.